"Griffin writes wonderful romantic suspense stories with plenty of interest and intrigue.... Stone Cold Heart is a winner in my book." "Cold Stone Heart was an amazing intense mystery that has you on the edge throughout the entire book. If you enjoy a true murder mystery, with lots of action, suspense, intense situations and a touch of romance, then you should be reading the Tracers series. Bravo to Laura Griffin for another fantastic story." 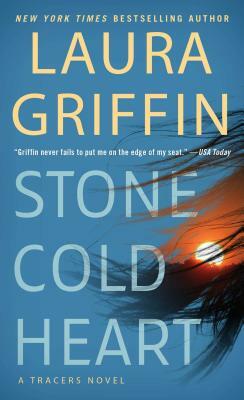 "Stone Cold Heart was an exciting read. I couldn’t put it down until I reached the end. If you love action, adventure, danger, and romance, this is the book and book series you won’t want to miss." "If you are looking for your next thriller, you need not look any further." "This book has it all, so much substance!" "Stone Cold Heart was mystery and suspense at its best.... And within the unfurling mystery there’s a perfect balance of romance to add to the thrill of this fast-paced, unputdownable story, and it might be my most favorite of the series yet."